Enersize today announces that the company is carrying out a share issue during April and May 2017 in preparation for planned listing on Nasdaq Stockholm First North in June 2017. A fully subscribed share issue brings Enersize approximately 2.9 MEUR (27,9 MSEK) before transaction costs. Prospectus will be accessible on the websites of Enersize (www.enersize.com) and Sedermera Fondkommissions (www.sedermera.se) before subscription time starts. 90% of the world’s manufacturing industry uses compressed air, and it makes up approximately 5% of the all electricity used, making energy savings in compressed air a multi billion dollar market. 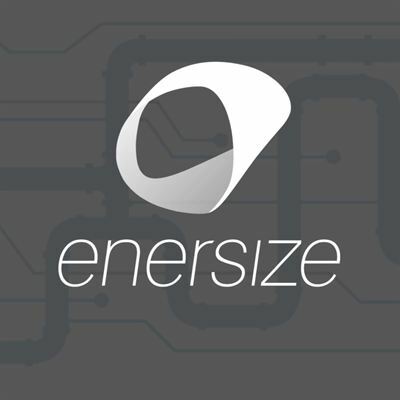 With their proprietary software for data-gathering and analysis, Enersize manages to save up to 30% of the energy used in industrial compressed air systems. The company shares the energy saving revenues with the customers, who do not need to pay for the service but only share parts of the profits. The company has secured an impressive line-up of signed customers as well as grown a strong pipeline of potential customer projects. Amongst existing customers are some of the world´s largest producers of flat screens, cars and steel. Enersize has head offices in Helsinki and Research and Development office in Lund. the price per share is 6,90 SEK. The lowest total amount for carrying out the share issue is 2 500 000 subscribed shares, which corresponds to approximately 17,3 MSEK. Approximately 11,9 MSEK of the share issue is guaranteed through subscription commitments from existing shareholders. The subscription period is planned for 27 April – 11 May 2017. The raised capital will be used for market acceleration as well as key recruitment for global market launch of a fully automated analysis tool, which is currently under development. Furthermore Enersize aims to utilize the increased capitalization to finance a large number of new customer installations. The capital from the share issue is estimated by the board to finance the operations until the company is cash flow positive, which is estimated to happen during 2019. Upon successfully closed share issue Enersize has decided to apply for listing on Nasdaq Stockholm First North. Provided that the requirement for spreading of shares is fulfilled and the minimum target for the size of the share issue is achieved and Enersize is approved for listing, first day of trading is estimated to take place mid June 2017. Enersize will participate in a number of events to inform about the company’s current situation and future plans. These events are all free to attend and light food will be served.